Ft Hunt Massage and Spa is a sanctuary where all Natural Healing Methods have been brought together to maximize wellness of the human body in order to live a pain free and full life. 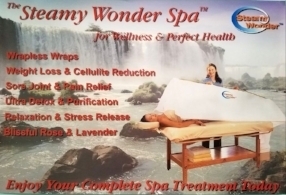 We provide massage therapy, chiropractic services, acupuncture, skin care services, sound healing and Steamy Wonder Spa. Ft Hunt Massage and Spa has teamed up with a wellness vacation expert who helps our clients find getaways to thermal springs, luxury spas and outdoor adventures around the world. Contact the travel agent here!